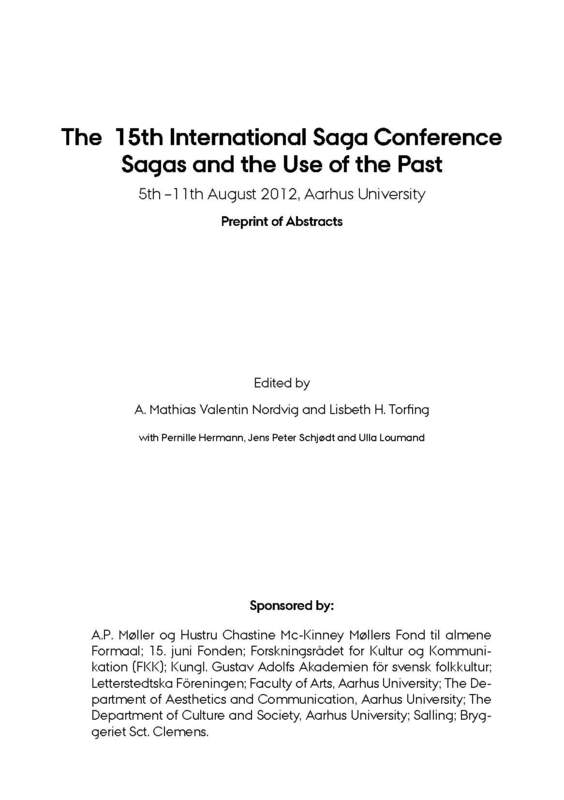 Sagas and the Use of the Past: The 15th International Saga Conference, 5th—11th August 2012, Aarhus University. Preprint of Abstracts, ed. A. Mathias Valentin Nordvig and Lisbeth H. Torfing (Aarhus: Department of Aesthetics and Communication, Department of Culture and Society, 2012). A PDF of the Preprints is avaiable from the conference website, or by clicking here. Minutes of the Business meeting (approved 2015).